The Lodge Key Three consists of the lodge chief, lodge adviser and lodge staff adviser. These three Arrowmen help to ensure that lodge officers and committees successfully carry out the operations of the lodge. Nolan is a Brotherhood member and Eagle Scout. Since being inducted in 2015, he has been an active Arrowman on various levels. He has served as lodge secretary and vice-chief of administration. In addition, Nolan has served on the Section C-7 communications team for three years and has worked at Indian Mound Scout Reservation and Camp Oh-Da-Ko-Ta as the ecology-conservation director. He currently attends Walden III High School and hopes to attend college for electrical engineering. Ken is a Vigil Honor member, Founders Award and Centurion Award recipient. Ken has previously served as chapter adviser for six years and served one year as section facilities adviser for the section conclave held at Camp Oh-Da-Ko-Ta. 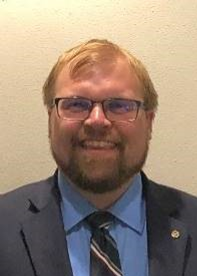 Besides lodge adviser, Ken currently serves as the advancement chair for Gateway District and is a member of the council advancement committee, serves as a Hornaday Award and Eagle Scout coach, counsels for multiple merit badges, and is assistant Scoutmaster of Troop 505 in Kenosha. Ken has served in countless positions for Cub Scout packs, Boy Scout troops, and on the district and council levels. 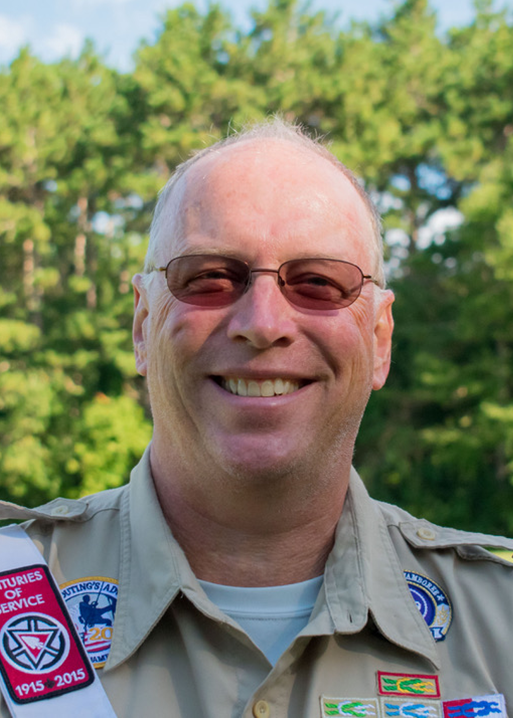 Ken has served as Scoutmaster for the National Jamboree, and has led several treks to Philmont Scout Ranch and Florida Sea Base. Outside Scouting, Ken holds a degree in Fire Science and is a retired house captain and paramedic from the Kenosha Fire Department. Ken’s civic involvement includes organizations such as Rotary International, Ken has served in a multitude of volunteer capacities, including fundraising for the Muscular Dystrophy Association (MDA), serving at soup kitchens, and volunteering as a Stars and Stripes Honor Flight guardian. Ken has served as coach or assistant coach for multiple school sports, including high school boys and girls track and field hurdle, middle school hurdle, basketball and baseball. Nathan previously served as senior district executive in Iron Horse District, Heart of America Council in Kansas City. His district served almost 2,900 Scouts and 1,500 leaders in Western Johnson County Kansas. 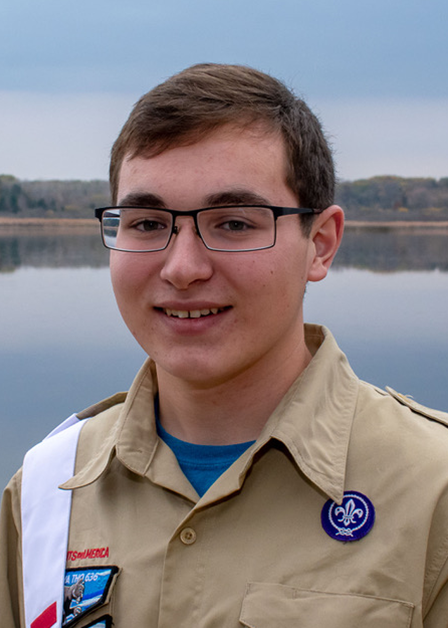 In addition to his district responsibilities, Nathan has served as the council staff advisor for Venturing, Order of the Arrow, international Scouting committee, and the Order of the Arrow Section C-5B staff adviser. Prior to joining the Heart of America Council, Nathan served in the Osage Hills District for the Ozark Trails Council in Southern Missouri. Before becoming a commissioned professional Scouter, Nathan served on Great Rivers Council camp staff for seven summers including two as the camp program director. Nathan also worked as a Scoutreach coordinator for the council in Columbia, Missouri. Nathan is an Eagle Scout, Vigil Honor member and Venturing Silver award recipient. Nathan is a graduate of the University of Missouri with a dual degree in History, and Secondary Social Studies Education. His hobbies include pickleball, watching movies, traveling and exploring new places. Nathan’s wife, Marisol, works as a teacher’s aide for English language learning students and is pursuing a master’s degree in elementary education.